The updated report from Forrester, entitled Organise for Mobile Marketing Success, investigated how marketing leaders are addressing mobile as a core engagement strategy, as well as the challenges CMOs face in building appropriate skills and frameworks around this rapidly growing space. It also features results from the analyst group’s Q2, 2014 Global Mobile Executive Online Survey, which found 12 per cent of CMOs owned mobile strategy, compared with 18 per cent of senior directors or directors. Sixteen percent of respondents also said no specific individual ‘really owns or drives mobile strategy’ in their organisation, indicating the lack of clear leadership still around mobility. When it comes to company leadership supporting mobile initiatives, 61 per cent said they have CIO support for mobile initiatives, and the same number also said the CEO understands the importance of mobile. Just over 60 per cent said the firm sees mobile as a strategic initiative, and 59 per cent said they had CMO support for mobile initiatives. Yet many marketers remain unsure on the responsibilities and talents they should allocate to mobile, as well as how to organise and support growing mobile initiatives, the report’s authors stated. 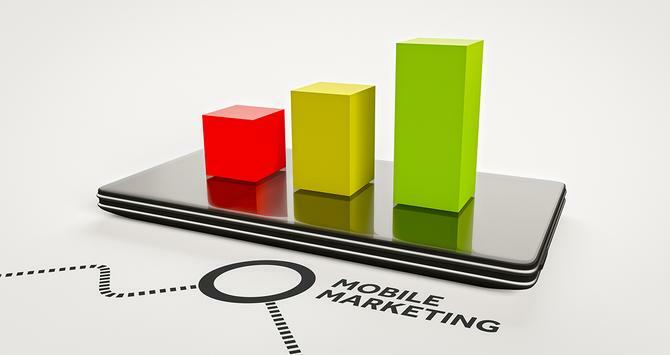 Forrester also pointed out mobile is not solely the domain of marketers and therefore required a company-wide approach. “Mobile efforts are expanding throughout organisations on a project-based approach, which exposes a lack of governance that serious inhibits resource prioritisation and best-practice sharing,” the report’s authors stated. Among the top challenges for organisations looking to scale mobile strategies and initiatives are limited mobile skills (73 per cent), lack of mobile objectives (57 per cent) and lack of mobile-oriented KPIs (47 per cent). Only 28 per cent of respondents have a mobile centre of excellence that includes business and IT employees and leaders to guide customer mobile projects, and just 27 per cent believe they have the skills needed to build, operate and analyse mobile apps for customers. To inform the design of mobile services, 59 per cent of respondents said they analyse customer usage and attitudes towards mobile phones to understand their needs and expectations, and 58 per cent wireframe mobile apps/Web to gather design feedback. Nearly half also said they use internal or customer beta groups to test apps before they go live, while 45 per cent are using customer personas or segmented that include device ownership and usage to better gauge mobile needs and expectations. In response to its findings and to help executives become mobile-first, Forrester advised CMOs to develop mobile acumen, and provide training across the marketing team. “All of your customer-facing employees need to understand the mobile mindshift,” the report’s authors stated. “Smart companies such as Nestle and Reckitt Benckiser Group already create mobile toolkits, playbooks and guidelines to share best practices about everything from defining utility-based mobile experiences, to mobile search engine and application store optimisation and emerging mobile technologies. Mobile needs to be “infused” into the innovation culture, with strategy development kept in-house, and CMOs should partner with the CIO and IT team to ensure mobile is on the business technology agenda, Forrester said. The Q2 2014 Global Mobile Executive Online Survey received 414 complete or partial responses from Forrester’s marketing and strategy research panel, and was conducted during April and May.